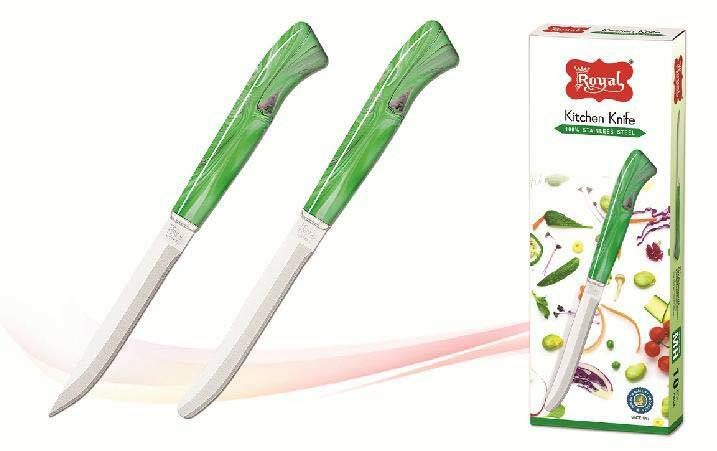 We are rigorously engaged in manufacturing, supplying, and exporting Big Marble Handle Knife. Our entity is based in Rajkot, Gujarat, India. These knives are known their optimum functionality and speedy performance. We make them in compliance with the set industrial standards and norms. We are well-equipped with the latest machinery and tools for manufacturing the Big Marble Handle Knifes. We offer them in small and big quantities. Our offered range is available in various dimensions, to meet the varied requirements of the client.